Since assuming duties as the 36th Army Vice Chief of Staff in 2017, Gen. James C. McConville has focused on meeting the Secretary of the Army’s and Chief of Staff of the Army’s readiness and modernization priorities. A graduate of the U.S. Military Academy, McConville is a master aviator and most recently served as the Deputy Chief of Staff, G-1. 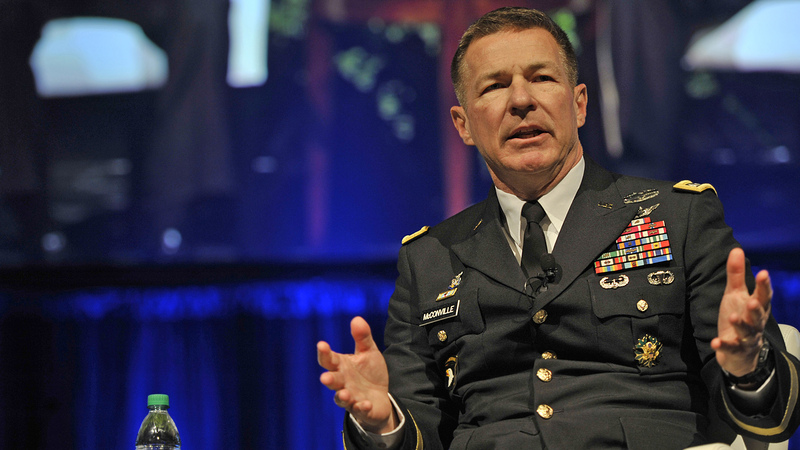 In this interview, McConville shares his impressions on the impact the Army’s new era of modernization will have on the logistics community. Q: How are you working to change culture and embrace modernization and the establishment of the new Army Futures Command? A: I don’t think it’s hard to change the culture when we show we’re going to get the results we need. There’s no one in the Army who disagrees with our desire to develop new equipment at a reasonable price in a timely manner. I think we all share the same goals; it’s just a matter of how we get there. We have had to change the system because most of our processes in the Army – and the military in general – are from the Industrial Age. They tend to be very linear. With how quickly technology is moving in the civilian sector, we have to change our processes and the way we do business so we can field these systems in the time frame we need to be ready for combat. That’s why we’re going down this road. I’m blessed to work very closely with Under Secretary [of the Army] Ryan McCarthy on this. He comes to the Army with broad experience and a unique skill set to help us develop these systems. Together, we synchronize the Secretary [of the Army] and the uniformed members of the Army Staff so we’re all collaborating and all sharing the same vision as we go forward. Q: How important is innovation and modernization for building readiness? A: It’s extremely important, especially when it comes to logistics. When we look at modernization, some things are going to change and some things are not. When we talk about logistics, we’re still going to need to feed soldiers; we’re still going to need to fuel and arm vehicles and helicopters; and we’re still going to need to get critical parts to units on the battlefield. What is going to change is how we do that. We talk about modernization and innovation, and we can take some cues right now from the civilian sector. We’re starting to see autonomous vehicles moving around the country conducting logistics, both in the air and on the ground. We’re seeing additive manufacturing where we can actually make parts at the point of need, saving a lot of time that would have been required to get them delivered. We’re going to see artificial intelligence involved in helping us with condition-based maintenance, so we know ahead of time when parts will need to be replaced, rather than waiting until they fail or changing them based solely on hours in use. Technology is going to save us a lot of time. While innovation and modernization are certainly going to change the way we do logistics on the battlefield, it’s not going to change the criticality of sustaining our units while they’re in combat – I want to make sure our logisticians understand just how important they are on the battlefield. One of my first jobs in the Army was the support platoon leader for the 2nd Squadron, 10th Cavalry Regiment, and I learned very quickly how important logisticians are for any unit type. Without my support platoon delivering food, soldiers would not eat. Without my support platoon delivering fuel, vehicles would not move. Without ammunition, none of those weapon systems would shoot. Without repair parts, there’d be a whole bunch of helicopters that were just expensive paperweights. Logisticians play a critical role on the battlefield, and they will continue to do so in the future. Q: How will the Futures Command use technology and industry partnerships to modernize faster? A: We have major corporations, like Amazon, that do logistics in ways we can learn from. How are they using robots to help complete tasks much quicker and more efficiently? How are they using autonomous vehicles to deliver products or supplies? By studying their operations, we can see, for example, the potential for taking soldiers out of dangerous areas on the battlefield by using autonomous ground and air vehicles as we go forward. So we’re looking at what industry is doing, compared to what we want to do. Then we’re evaluating their technology to see where we can apply it as a military solution. Q: You have three children serving in the military. They are using some of the same equipment you used as a young officer. Can you discuss how the Futures Command will affect soldiers at the tactical level? 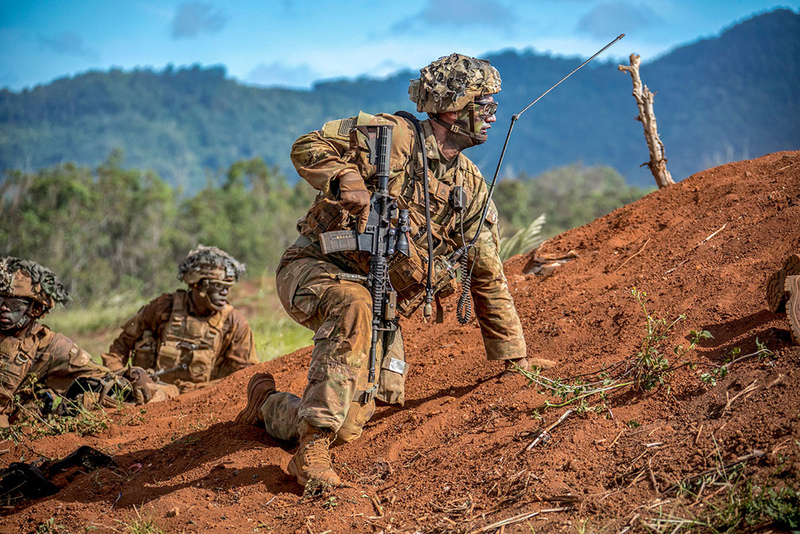 A: We have six Army modernization priorities: long-range precision fires, next generation combat vehicles, future vertical lift, the Army network, air and missile defense, and soldier lethality. Within each of these priorities, we have two or three major programs that are going to fundamentally change the Army. When my generation came into the Army, we had what we called the big five: the Abrams, Bradley, Apache, Black Hawk, and the Patriot. They’ve been around for quite a while, and we haven’t fielded a new major combat system in decades. With the Futures Command, our kids and their kids are going to see brand new systems coming into the inventory over the next three to eight years. Development and acquisition timelines will be shorter and faster. Within each of the modernization priorities, one of the things we’ve done is set up cross-functional teams. We’re bringing together the operators, the sustainers, and the Acquisition Corps. We’re having them work very closely in developing requirements. Because they’re coordinating so closely, it will cut years from the time it actually takes to produce requirements. It’s also paying dividends with some of the systems that have recently gone into the acquisition phase. The fact that we’re keeping the operators and acquisition professionals together throughout the process is allowing us to get a product that the operators want and that acquisition professionals can acquire in a timely manner. Q: As the senior mentor for the Future Vertical Lift Cross-Functional Team, what have you done to ensure sustainment is incorporated? A: Sustainment is extremely important, especially when it comes to helicopters and rotary-wing aircraft. Again, if we can’t maintain them, they just be-come expensive paperweights. We want to make sure future systems are reliable and we’ve put processes in place to make them easy to maintain by crew chiefs and mechanics. Whether it’s the engine or the transmission, we’re thinking about how it’s going to be maintained as we’re actually developing the system. What type of tools does it take? How can the crew chiefs get in there and actually fix the helicopter if it becomes broken? Crew chiefs and mechanics are also going to need the training that allows them to maintain these very sophisticated pieces of equipment. We’re also looking at how we can innovate the sustainment plan through capabilities like additive manufacturing. How can we reduce the time we would normally wait for a repair part? Are there parts we can 3-D print so we don’t have to go back to a logistics hub and then bring those parts forward? All of these aspects are critical to the development of the system, and that’s why we have sustainment professionals on the cross-functional teams providing input as we go forward. Q: What is the most important thing young soldiers need to know as the Army modernizes? A: Soldiers need to know that we’re going to modernize and we’re going to get new equipment. But at the end of the day, it’s about the Army’s soldiers. They are the most important weapon system. There will always be a soldier in the loop in anything we do. The technology is there to help them do their jobs, not to replace them. Soldiers are our most important asset.